Jason Aldean seems to have turned over a new leaf in life. 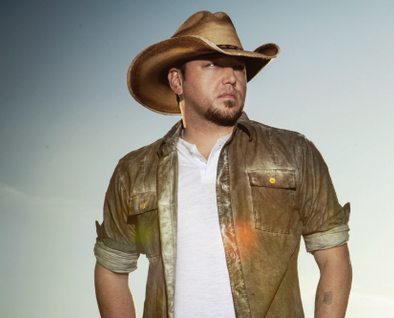 A lot has been going on with Jason Aldean leading up to his latest record. He went through some things in his personal life that were probably more public than he would have liked. Hopefully all parties have been able to find some resolution to the situation. From the public perception, it seems like Jason has kind of entered a new phase in his life. If you listen to Burnin’ It Down and now to Just Gettin’ Started, his next single, you get the sense that things have heated up in his love life. Check out the new track. This song seems to be about a hot new love. You know the feeling you get when you’re with someone new and you’re both feeling a strong connection. Things get really hot and you kind of fall into a groove that is really unexplainable. Jason kind of reinvented himself a little for this record I think. He’s always had the country rock thing going on, but I think on this record he brought some of that over, but he’s dove deeper into that passionate place that happens for all kinds of people. It’s unfortunate when you go through a breakup. It’s never an easy thing, but it can lead to new opportunities in life if you’re willing to open yourself up and from the sounds of the new song Jason is in a new phase and he’s probably enjoying it. Sorry about that. Up now.